Corkystem passionflower vine is a larval host plant for 3 species of brush-footed butterflies: Julia (Dryas iulia), gulf fritillary (Agraulis vanillae), and zebra longwing (Heliconius charithonia). 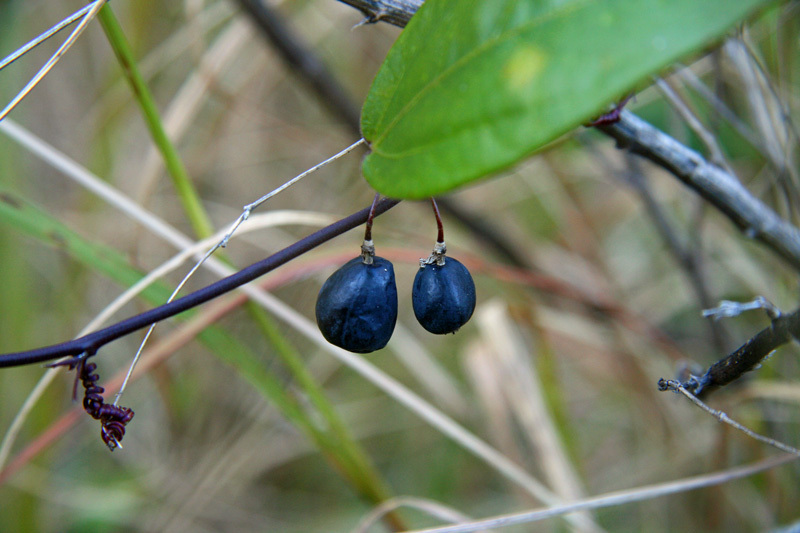 The dime-sized fruits of this well-behaved vine contain many seeds and are spread by birds. 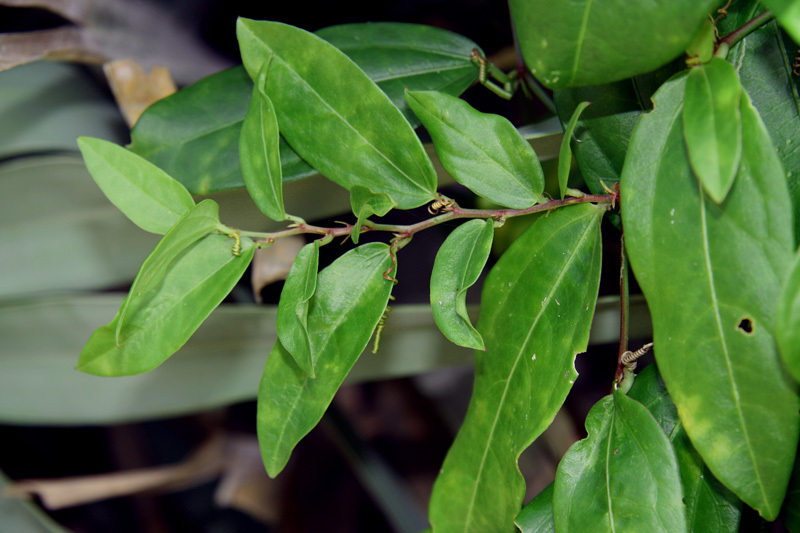 Its species name suberosa references the corky appearance of older stems. 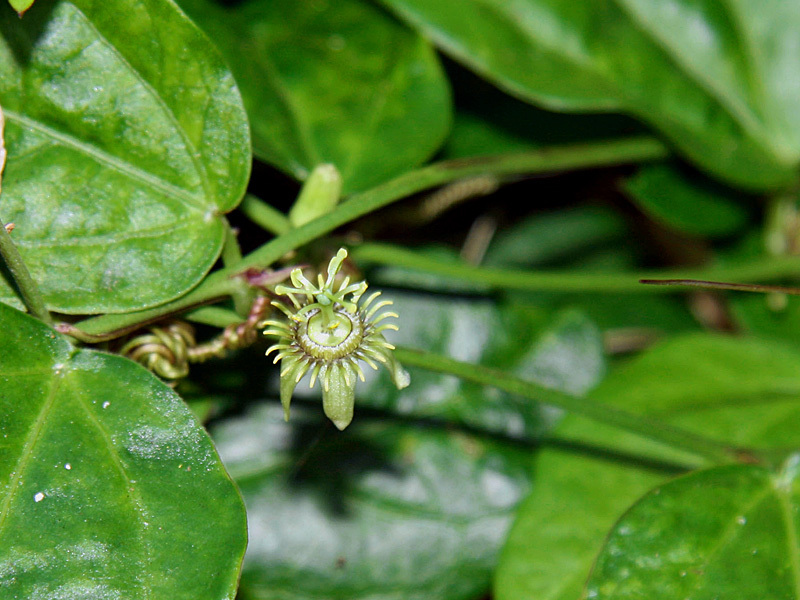 Its genus name passiflora means passionflower as its dime-sized flowers are said to reflect the passion of Christ. 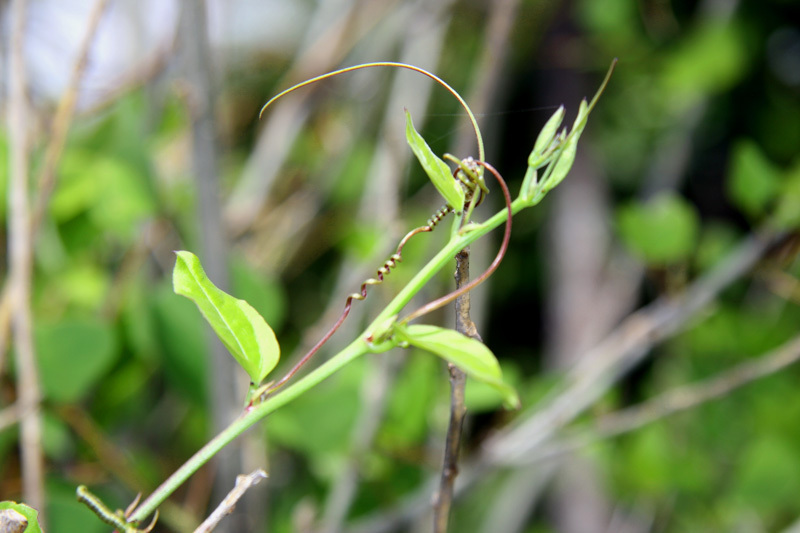 These brush-footed butterflies lay their eggs on the tender leaves of this vine which climbs by tendrils. 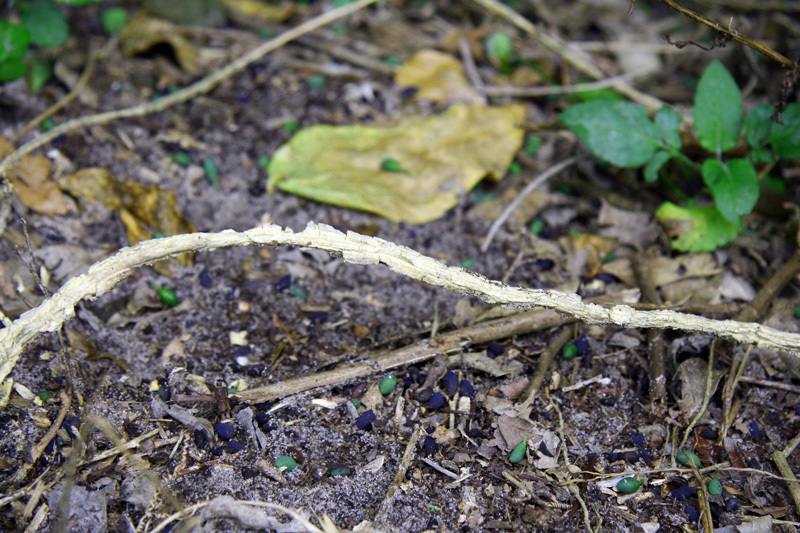 Its leaves vary in shape in an effort to deter these butterflies from laying their eggs on them. 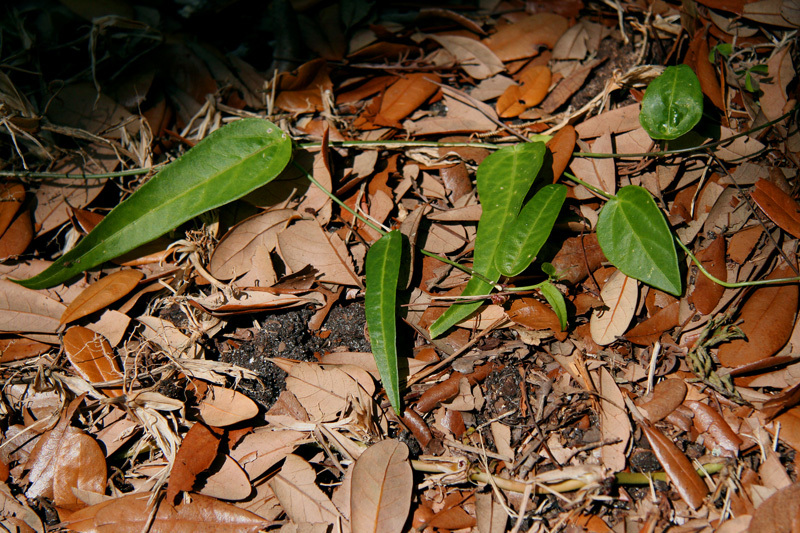 Plant this vine to feed both birds and butterflies.